Oh yes I said it, “Blueberries”. Speaking in Halifax at the Canadian Genealogy Summit and I am being well rewarded by the calibre of speakers (myself included, what?!?!) AND Blueberries. 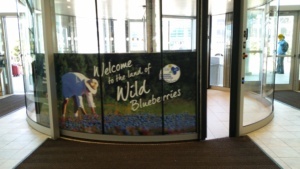 The Land of Wild Blueberries! BLUEBERRIES! Heaven here I come. 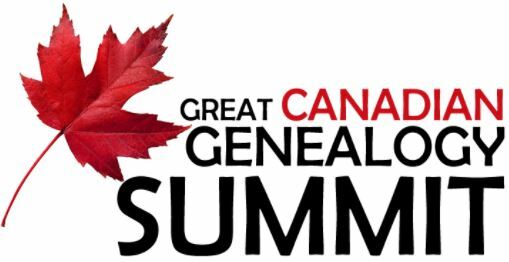 Settled into my hotel room in Halifax, registered for the Great Canadian Genealogy Summit, badge on (Speaker ribbon attached), Grandma’s Genes Biz Cards and decaf coffee in hand and I am set to go! The Keynote speaker was better than good. Jan Raska introduced us all to Canadian immigration through Pier 21, The canadian Museum of Immigration at Pier 21. I learned Immigrants to Canada were “cared for”. They were given housing and meals and even a gentle ear for translations or a postcard home. For those deemed problematic? They still had the tender love and care of Canada. He mentioned some of the Syrian and American refugees that Canada has been taking in over the last year (yes the wide, Canadian, southern border is being crossed en mass by people, families who are in fear of being deported by the current US presidents’ roll back of many immigration protections). Canada is truly the “Melting Pot” unlike so many other places in the world. They took me didn’t they? The presentation was great and the speaker’s knowledge was great and the company was great – at my table three women who did not know each other discovered there were cousins. Where else can you have that happen? When I mentioned this to Kathryn Lake Hogan (one of the organizers of the Conference) she said: “That’s it. We’re done”. Really. What other reason is there for coming to a great conference than meeting two living cousins before the opening of the event! For me? I might be walking away with a DNA connection to one of my clients. Yes tonight before the Keynote we spent time going around the table talking about our genealogical interests and one of the cousins mentioned above knew one of my client surnames. Yes, she knew someone researching that line in the area I have been searching. Yes, they had done a DNA test. 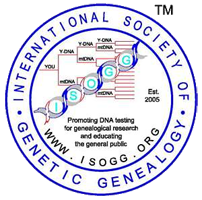 Yes, she would get me her GEDMatch Id and get us in touch with each other. HOW freakin cool! And now back to our sponsor, BLUEBERRIES! Then? The Blueberry infused dinner. 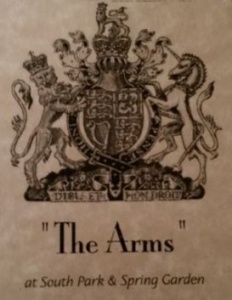 I ate in the hotel restaurant, The Arms, at the Lord Nelson Hotel in Halifax. Way above and beyond! Blueberry. Whiskey. Reduction. O M G.